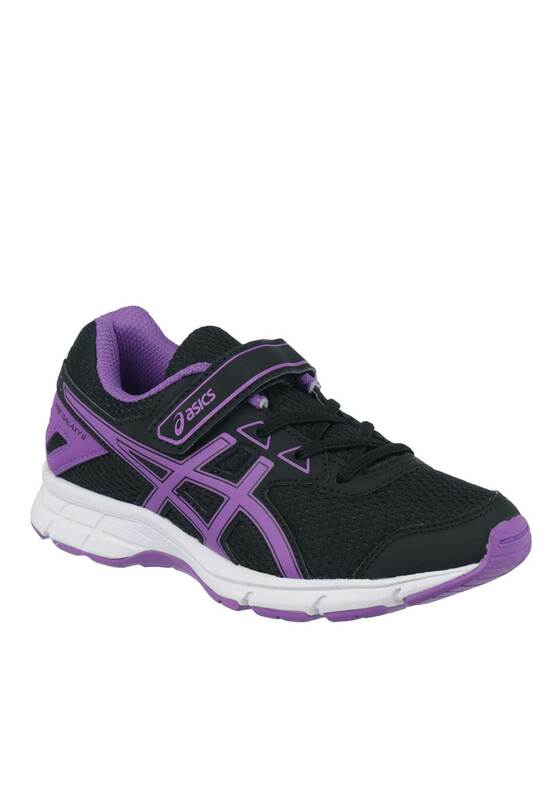 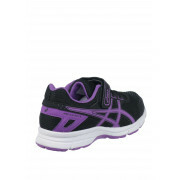 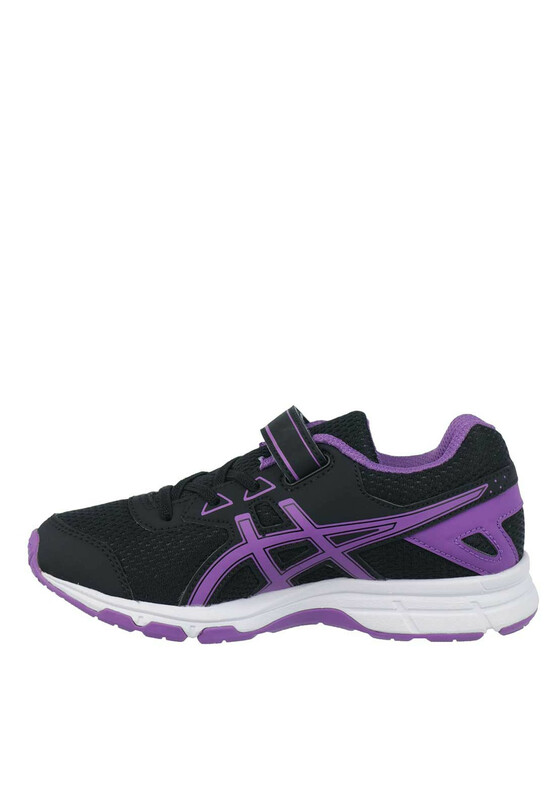 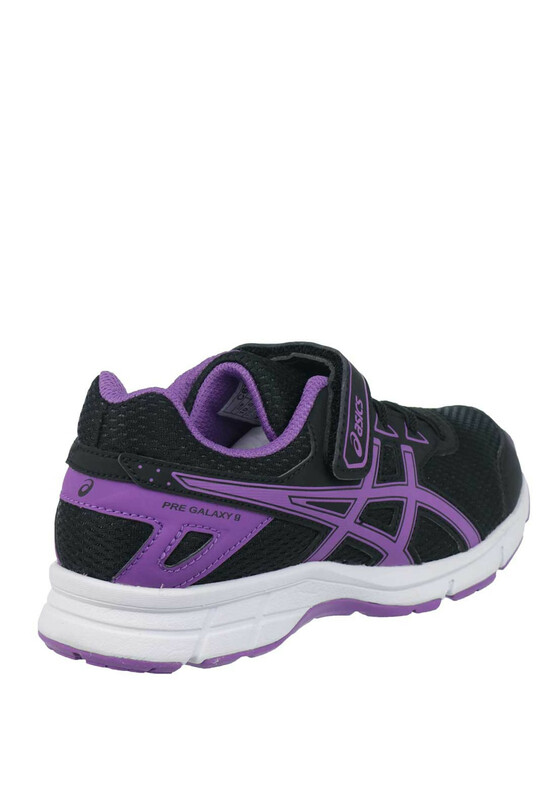 Your little lady will be running in style in these stunning black and purple Velcro strap trainers by Asics. 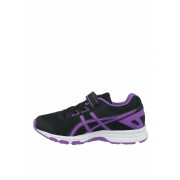 A lightweight pair that have a bouncy shock proof sole for a cushioned landing and a protective padded cuff. 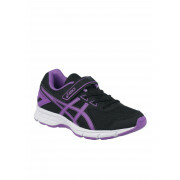 A great value pair for school or the weekend.